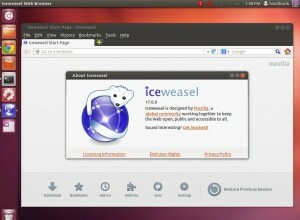 IceWeasel web browser is a fork from Firefox for the purpose: backporting of security fixes to declared Debian stable version and no inclusion of trademarked Mozilla artwork. Beyond that, they will be basically identical. 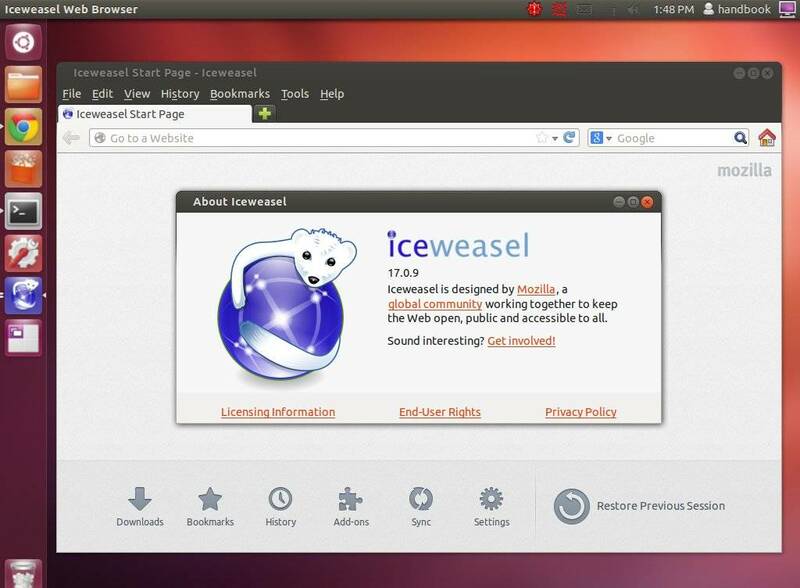 This simple tutorial shows you how to install IceWeasel 17 in Ubuntu 13.04 Raring and Ubuntu 12.04 Precise and their derivatives such as Linux Mint 13/15, Elementary OS Luna via PPA repository. IceWeasel was also built into this PPA for Ubuntu 13.10 Saucy Salamander, but it’s failed. works in Peppermint OS 4 at least. Open it from Unity Dash if you have the browser properly installed. How to install it in Ubuntu 13.10? like it is said above. It works for me in LinuxMint 16 (based on saucy Salamander). So far so good. I love it and it works like a charm for me. I did this installation in Ubuntu 14.04 and added the ppa-repository from above and it works like a charm. Only flash is a bit of buggy. Videos sometimes have trouble on playing. But: this seems to be a problem with flashplayer itself. I got it to work on Linux Mint 17 Cinn. Ed. and runs great! Of note…..before I installed Iceweasel, I uninstalled Adobe Flash from Mint. Iceweasel still played youtube vids! Thank you for saying that because I was very skeptical. Granted, I’ve got 17.1, but there isn’t much of a difference. Much thanks for which I have received from you on many topics. Yes, installed by terminal it does seem that no icon initially appears in my menu for Ice Weasal., but on reboot, it is there. Why? Beats me. All of my other installs have not had this problem. It’s a bit funny after using Windows to see people commenting on thsi problem in as much as Linux in general exhibits a much better behavior in regards to installing programs and putting icons into the user’s menu in a predictable and organized manner. This is rather beautiful as compared to Windows and the way programs simply ‘dump’ icons into the menu in a completely new folder that has zero relationship to anything that has happened before. The results are eventually quite annoying and sloppy and as this is the norm for Windows, none of their users ever consider that there could be another way to do this. At least rebooting makes everything right with Ice Weasal.